Learn how to virtualize and program data centers as well as implement the Cisco Application Centric Infrastructure (ACI). The DCVAI - Implementing Cisco Data Center Virtualization and Automation course is designed to help students prepare for the Cisco CCNP Data Center certification and for professional-level data center roles. The focus of this skills-building course is on the implementation and deployment automation of Cisco Application Centric Infrastructure (ACI) and Cisco Nexus switches. The course provides rich hands-on experience in building a data center solution based on Cisco ACI. Learners are introduced to the automation capabilities offered by Python and RESTful APIs in combination with Cisco ACI and Cisco Nexus switches. You’ll master the professional-level skills and technologies needed to implement Cisco Application Centric Infrastructure (ACI), virtualization, and automation of data center operations. Describe two primary features to logically separate a physical switch. Describe the Nexus 1000 virtual switch. Describe programmability options on Cisco NX-OS. Describe CLI features that simplify configuration management. Use different scripting tools available with Cisco NX-OS. Create tenant-based policies for bare metal hosts. Describe the integration of VM Manager Domains with Cisco ACI. Describe how Cisco ACI supports multitier applications. List Cisco ACI monitoring capabilities. Describe Cisco ACI programmability and orchestration. Describe vPC-based aggregation and availability. 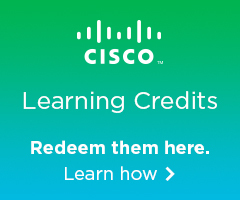 Describe Cisco AVS, distributed firewall, and micro-segmentation. Describe packet flows within the Cisco ACI. Describe integrating Cisco ACI with external Layer 3 networks. Outline the integration options with external Layer 2 networks. Describe how L4–L7 services are inserted into the Cisco ACI fabric and how traffic is subsequently redirected. The CCNP Data Center certification and training program offers comprehensive certification and professional-level skills focused on Cisco data center solutions, technologies, and best practices to design, implement, and manage a modern data center infrastructure. 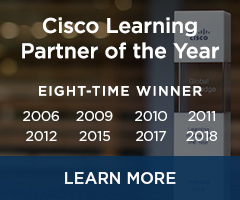 IT practitioners who are Cisco trained and certified are uniquely qualified for key roles in complex data center environments with expertise utilizing technologies including policy-driven infrastructure, virtualization, automation and orchestration, unified computing, data center security, and integration of cloud initiatives. CCNP Data Center certified professionals are highly qualified for senior roles chartered with enabling digital business transformation initiatives. Complete your CCNP Data Center certification. Master Cisco technologies on your own schedule. The on-demand version of this course includes access to these elements for 12 months.